Violet Gaze sent in these great images from the 1964/1971 book Childcraft Vol. 6 How Things Change. 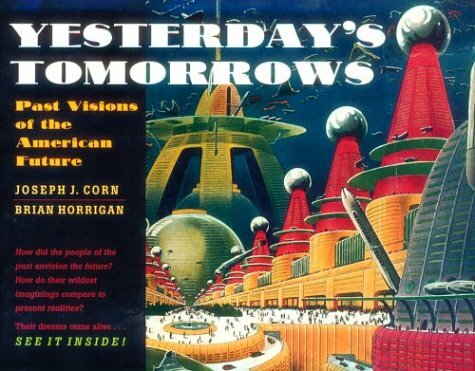 The paleo-future view of education was exceptionally accurate compared to a lot of other predictions. 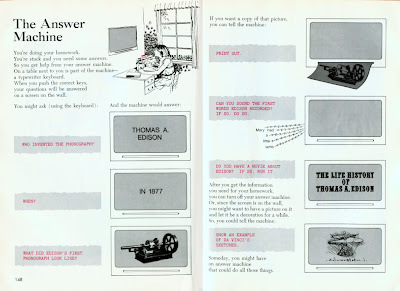 The homework machine envisioned in 1981 was big, but not altogether wrong. My favorite element of this two-page spread is the fact that the girl has a hyper-futuristic "answer machine" and yet still uses a typewriter.